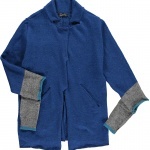 The Charville jacket makes use of our Charville scarves, we have cleverly used our samples to create a wonderfully warm jacket, with simple tailoring but playfulness of having our signature mittens attached to the sleeves. 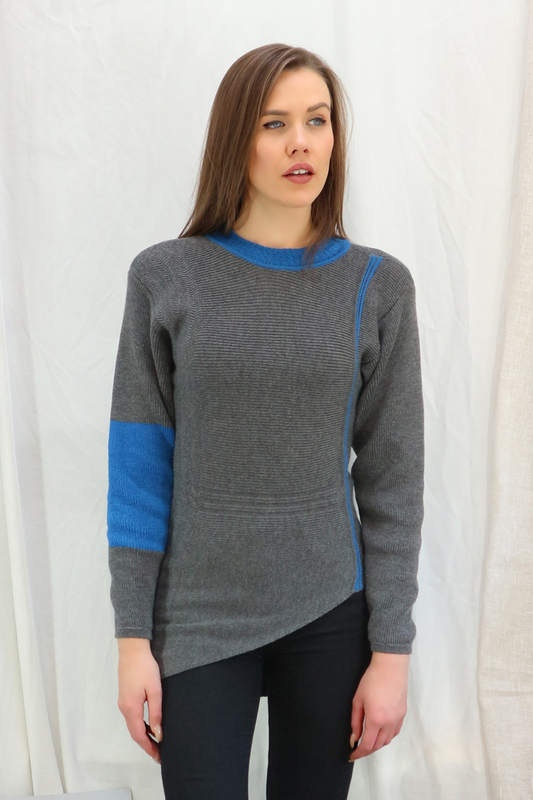 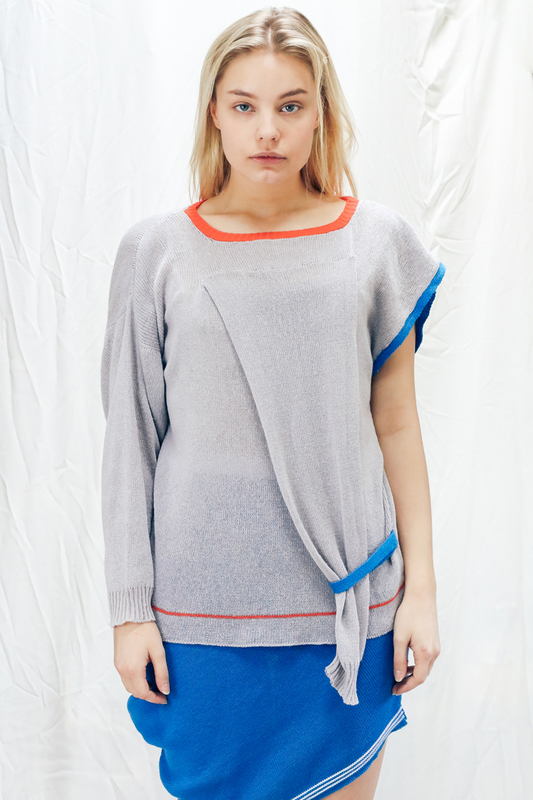 Looks good with our bright popping jumpers. 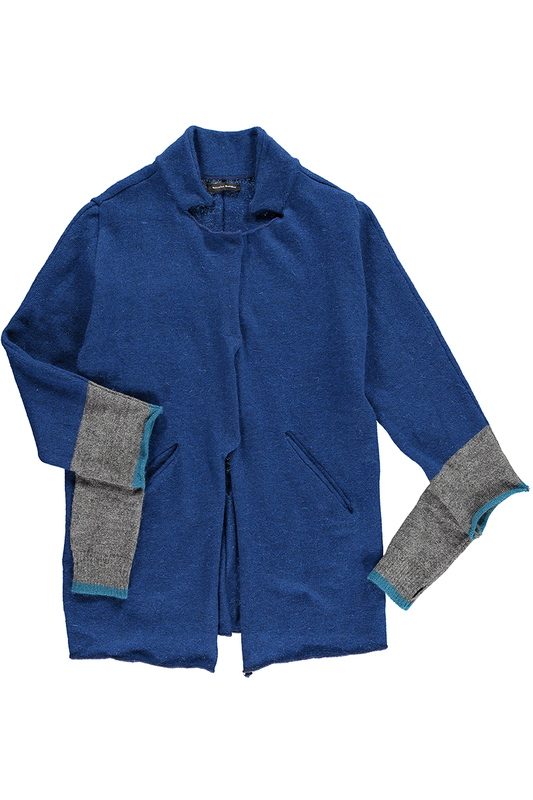 Category: Jackets. 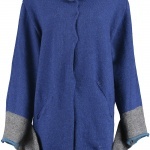 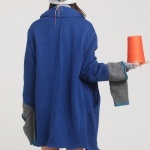 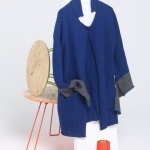 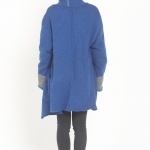 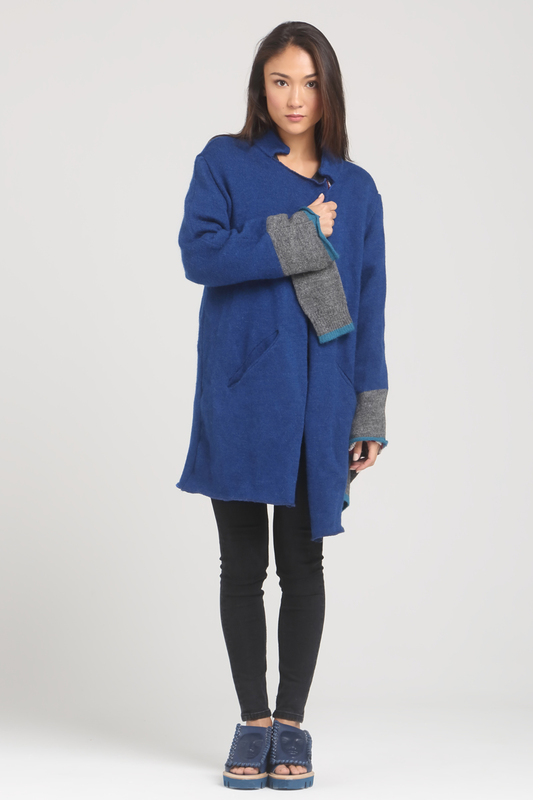 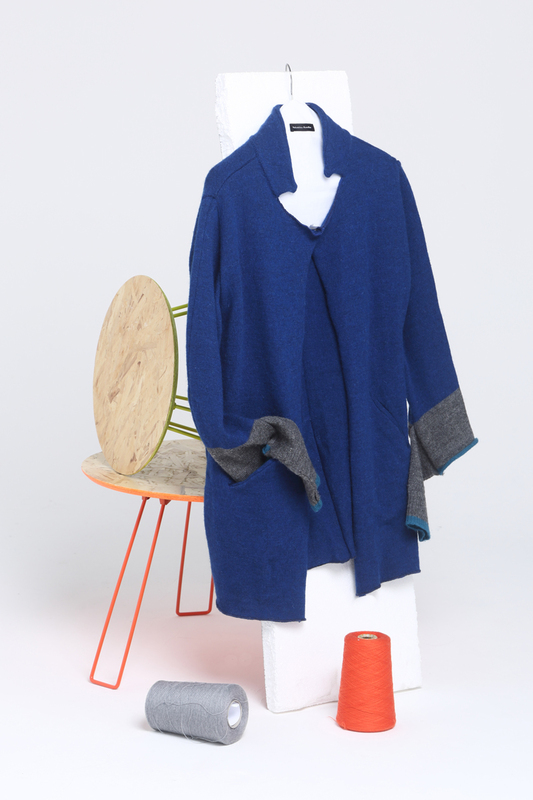 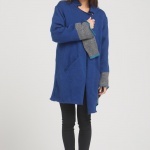 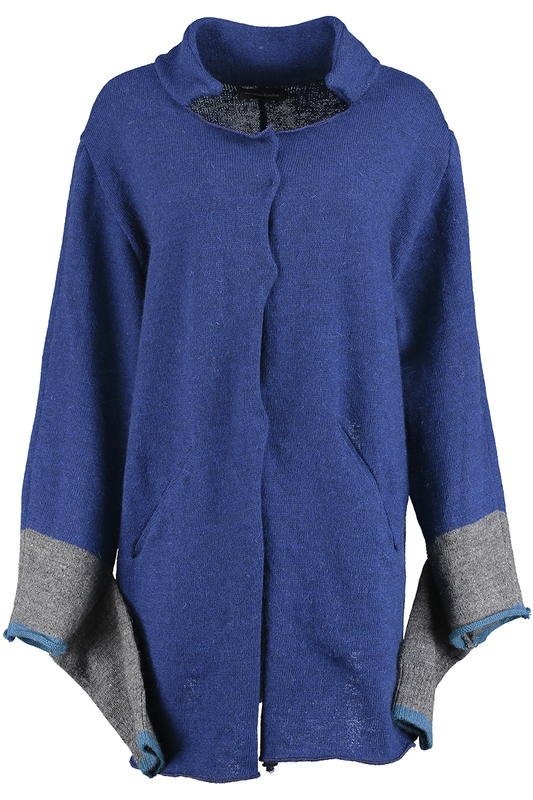 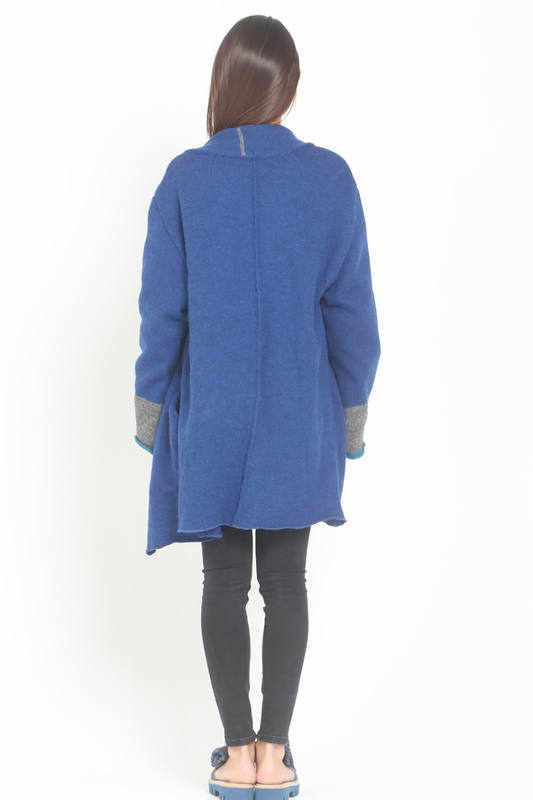 Tags: British wool jacket, handmade coat, handmade knitted coat, knitted, knitwear, navy jacket, wool coat, wool jacket.